I was asked to teach a no knead bread class in Salt Lake and the night before the class, I thought, "Why not try a new bread?" 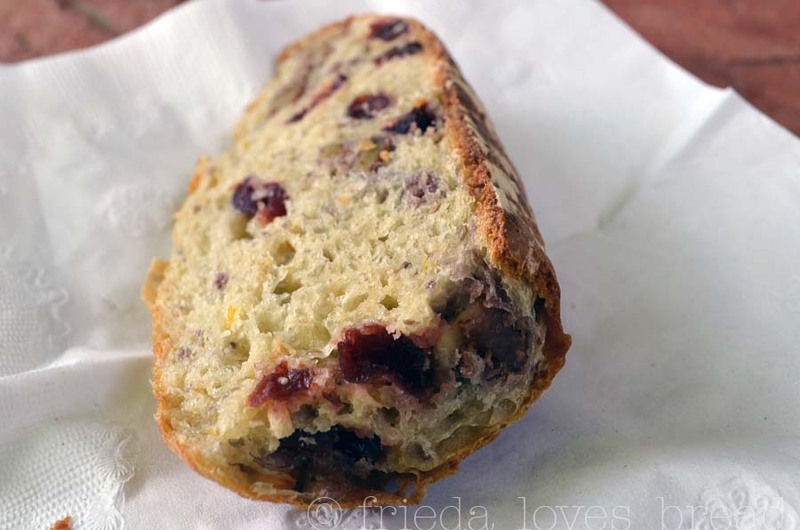 I enjoyed making the Cranberry Walnut Celebration bread from the Bread Baker's Apprentice, and thought this would translate well into a no knead version. I broke a cardinal rule: Never make a brand new recipe and take it to a group. Yes, I made this up the night before the class, baked it the next morning and took it with me to the class. What was I thinking?? It starts innocently with these four ingredients: walnuts, dried sweetened cranberries, an orange, and pure orange extract. 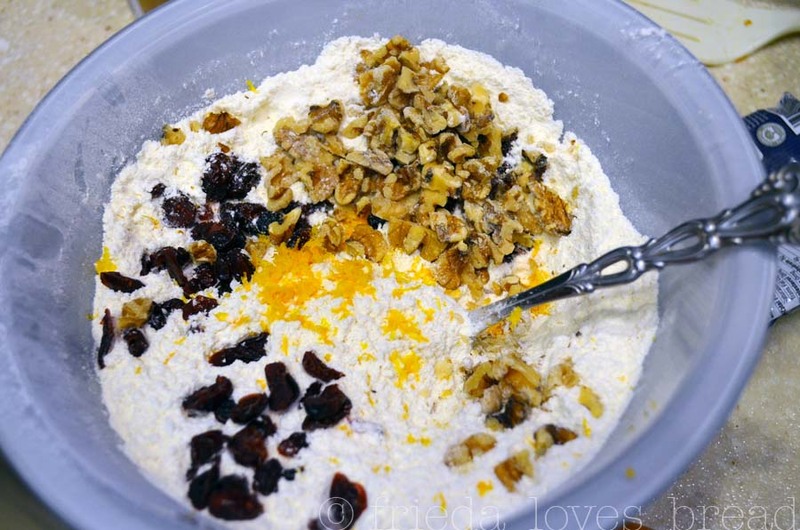 The walnuts are coarsely chopped, the cranberries are thrown in, and about 1 tablespoon of the orange is zested into the dry ingredients (bread flour, salt, sugar and instant yeast). 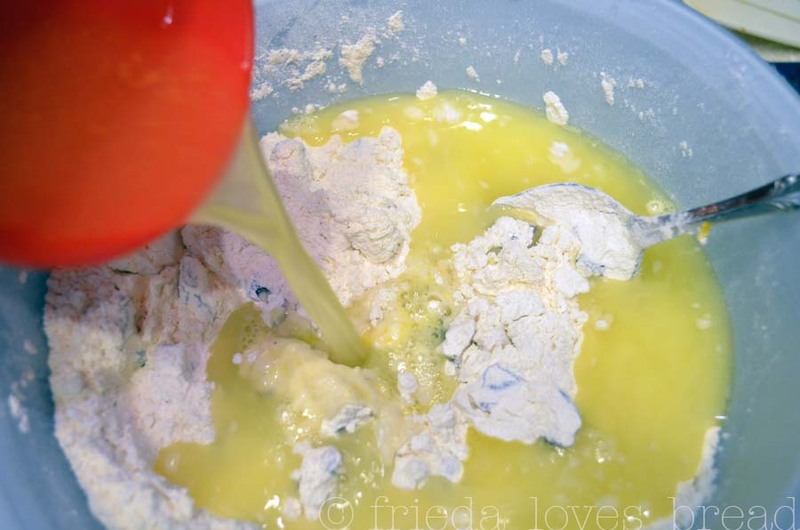 Toss everything so that it is coated with flour. 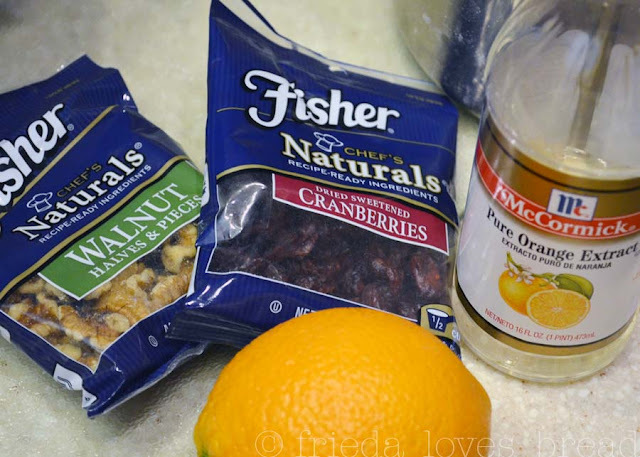 This will prevent "clumping" of the fruit, nuts, and zest in the bread. I threw caution to the wind and subbed some of the water for 1/4 cup of fresh squeezed orange juice and added 1 teaspoon of pure orange extract. I took a whiff of the dough and began to panic. Maybe I didn't need to add the orange extract. Oh well. I let the mixture sit out overnight on the counter, shaped and baked it the next morning. If I had any sense, I should have cut into it before bringing it to the class. But one of the points I was trying to make about this no knead bread is, "Have fun with this bread. Add what you like and see what happens." Oh, it smelled so good ~ and tasted even better! Slightly sweet, with chewy cranberries, crunchy walnuts, with the aroma of orange ... perfect by itself or as a roasted turkey sandwich. In the words of Bob Ross, this bread was a "happy little accident." 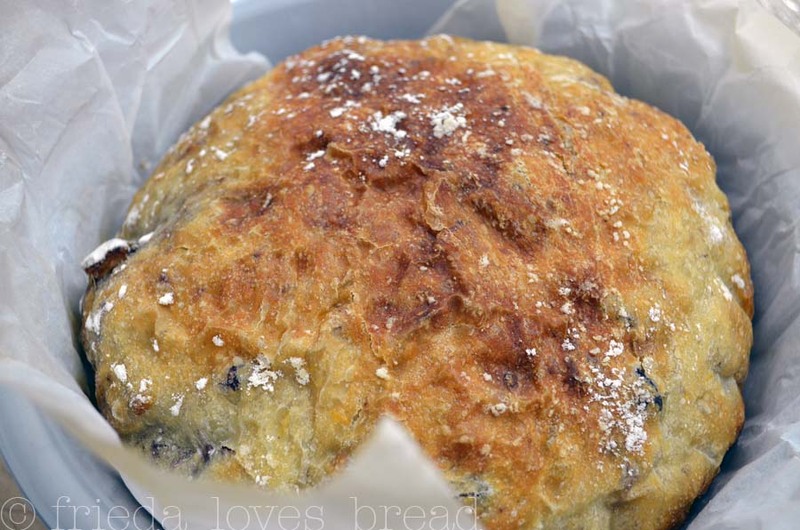 Yay for you and your surprise no knead bread! :) That's the sign of a good cook. When you can substitute ingredients and not even test it ahead of time and it still turns out great! Looks delicious!